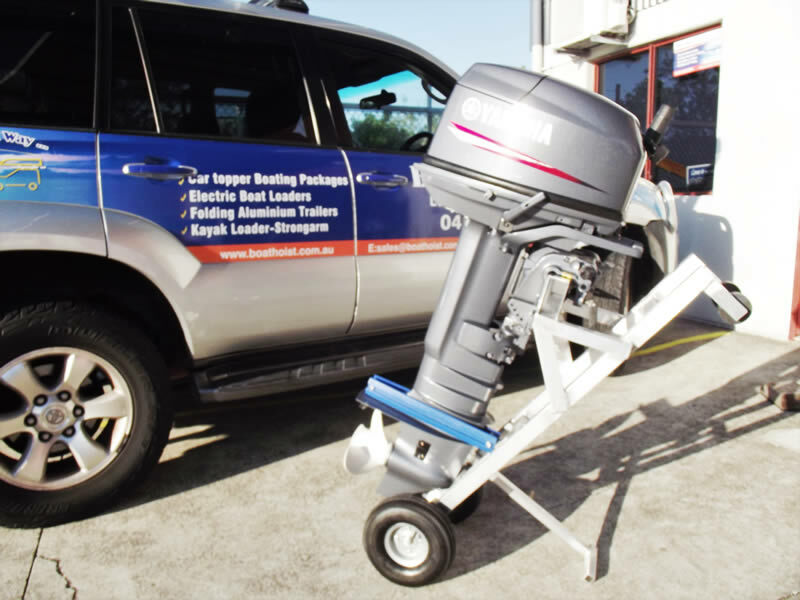 The outboard motor trolley is a robust aluminum trolley that suits both 2 stroke and 4 stroke outboard motors, long or short shaft and up to 20 hp (the trolley can be modified to suit a 30hp motor on request). The trolley has wheels at both ends allowing you to wheel the trolley up to your wagon or ute, position the top of the trolley on the tail gate then simply roll your outboard motor and trolley into the rear of the vehicle where it can be secured. 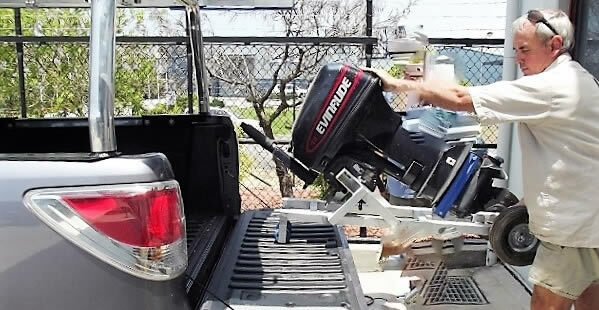 The BoatHoist outboard motor trolley also has a removable leg so you can free stand the trolley next to your boat while you transfer the motor across or store the motor in the shed when not in use. The trolley can also be used with our A-frame vehicle mount if you wish to carry your motor on the draw bar of your caravan. Just check your ball weight first. We supply our trolleys direct to our customers so you are dealing with the manufacturer NOT a salesman. 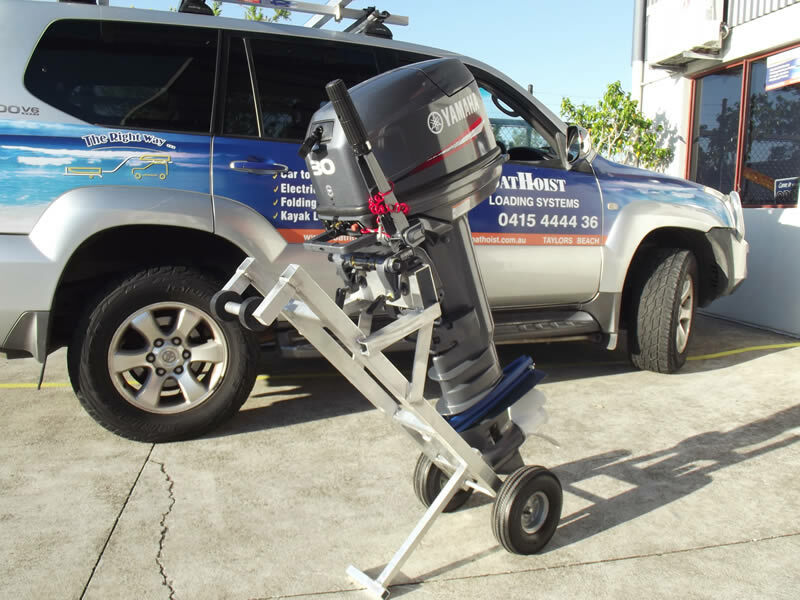 The outboard motor trolley can be freighted direct to your door in all Australian states or you can you can collect from our Nelson Bay, NSW or the Coolum Qld Workshops just phone and ask. 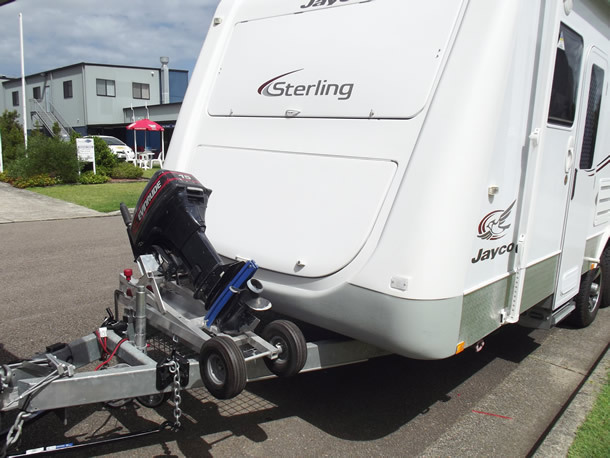 This A-Frame Caravan Mount allows you to carry your outboard motor fitted to the trolley on the front of your caravan. 110cms x 33 x 31cms. 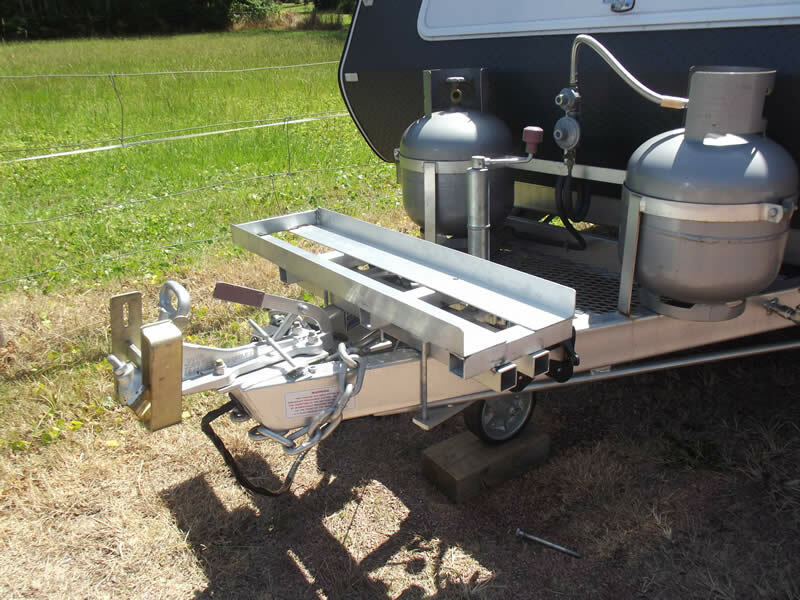 Bolts directly onto the A-Frame of your caravan/camper trailer.